The global population is ageing in an unprecedented rate. Along with this are the decline of sensory, physical and cognitive capabilities and the prevalence of ageing-related diseases. As a result, the need for social and health care resources has been fast growing, and it has become a challenge worldwide to meet the rising demand for high-quality care and health services. To address this global ageing problem, advanced technologies, such as sensor networks, big data, internet of things, smart objects, pervasive computing, computational behavior analysis, decision support and robotics, have been widely studied to support independent living, self-care, self-management, early risk detection and intervention, patient empowerment, collaborative care and integrated care, personalized care and medicine. As the developed countries, Europe has been leading the research, development, deployment and uptake of the technology-driven solutions for addressing the ageing problem. Nevertheless, China has the world’s fastest growing, and also the largest, ageing population, and yet China’s research and development on active and healthy ageing is still at early stage. This forum aims to provide an opportunity for academic researchers, industrial technology and solution developers, healthcare service providers, carers and users, from both China and Europe, to 1) exchange the latest research outcomes, technologies and products; 2) share views, perspectives and visions; 3) establish consensus, alliances and joint efforts; 4) promote best practice and user experiences; and 5) further identify future trends and directions. Specific emphases will be placed on 1) knowledge transfer between Europe and China; 2) research translation from academia to industry; 3) bridge-building among researchers, developers, providers and users; and 4) ultimately promoting innovation and sustainable development to impact society and economy. You are cordially welcome participations in the 2nd China-Europe Innovation Forum on Smart Healthy Ageing and Privacy Protection to share your ideas, visions and researches. With the continuous development of cyberspace and cyber world, not only the rapid cross-integration of science, technology and disciplines, but also a profound impact on social governance, economic development, international relations, national defense and security. The development in the field of cyberspace is at the beginning and at a rapid speed in China. In particular, there is a gap between the kernel technology and industry standardization and the developed countries. We need to strengthen cooperation and exchanges with international counterparts in basic research, Research&Development and control of new technologies, innovation systems and innovation capabilities. This conference aims to provide an opportunity for academic researchers from all of the world, to 1) exchange the latest research outcomes, technologies and products; 2) share views, perspectives and visions; 3) establish consensus, alliances and joint efforts; and 4) further identify future trends and directions. Specific emphases will be placed on research the fundamental science, key technologies and kernel application of Generalized Cyberspace. In summary, this conference will ultimately promote innovation and sustainable development to impact society and economy. You are cordially welcome participations in the Forefront Seminar on Generalized Cyberspace to share your ideas, visions and researches. 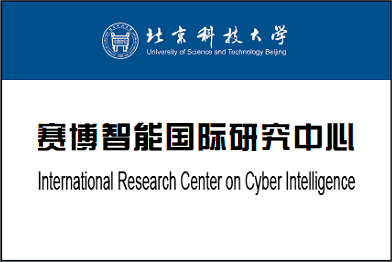 The "Cyberspace Data and Intelligence Lab" was established in 2013, mainly from the study of the Internet of things, the intelligence of cyberspace and the big data of cyberspace. The lab now has 3 professors, 2 associate professors, 1 outstanding young scholar in Asia and Africa, 1 lecturer, 16 doctoral students (including 8 international students) and more than 20 master students. The lab (led) jointly established an International Cooperation Base with the network center of the Chinese academy of sciences and cosco logistics, which was identified by the Beijing municipal Science and Technology commission as Cybermatics and Cyberspace International Science and Technology Cooperation Base in 2014 (passed the acceptance inspection in 2017 and entered the second construction period). Based on the base, we have carried out extensive cooperation with the United States, the United Kingdom, France, Canada and Japan, and jointly established the international academic organization IEEE Systems, Man, and Cybernetics Society Technical Committee on Cybermatics. Had to do 2013 international cyber technology conference (http://www.china-iot.net/), 2015 international conference on intelligent space (http://www.cybermatics.org/SmartWorldCongress2015/), which has extensive influence in the world. 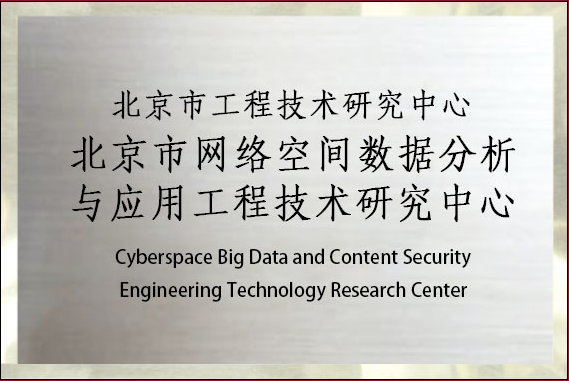 The lab and the ministry of public security units to build the big data engineering technology research center, recognized by the Beijing municipal science and technology commission in 2016 as "Beijing network space is large data analysis and content of safety engineering technology research center", to develop large data analysis, research and deep learning content security. In 2015, The IEEE International Conference on Cloud and Big Data Computing (CBDCom) was jointly established with International scholars, and it has been held every year since then. Internationalization is one of the major characteristics of talent training in our laboratory. 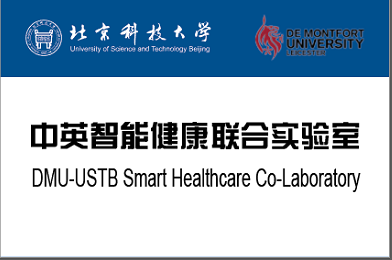 Laboratory in addition to a number of students from different countries, to set up a joint Laboratory with the DE montfort university also has "DE montfort university, Beijing university of science and technology joint Laboratory"(DMU - USTB Smart Healthcare Co - Laboratory), "DE montfort university, Beijing university of science and technology International cooperation Center"(International Research Center on Cyber - Intelligence). Set up in the World the IEEE Smart World Technical Committee Task Force on User - Centred Smart Systems. The two sides in the national natural science fund, the royal society cooperation projects and 2020 projects supported by the eu horizon joint training graduate students, the two sides held once a year "central intelligence endowment BBS". In addition to the UK, every year, a number of postgraduates go to France, Canada, Australia or Sweden for study visits, exchanges and participation in international conferences. At present, the laboratory has undertaken a series of vertical and industry-university-research and technology projects, including 6 national natural science funds, 2 national key research and development projects, and the pre-research fund of the science and technology commission of the military commission. 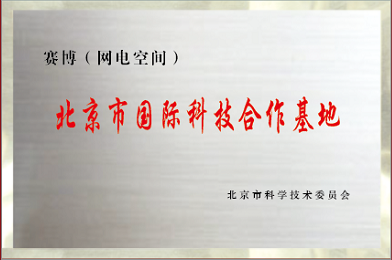 In the past three years, I have won one second prize in natural science of the ministry of education, published more than 40 SCI papers (including more than 20 articles in TOP journals), applied for 8 invention patents, and published 3 books in Chinese and English. Graduate students won the national scholarship, the north university of science and technology graduate students top ten. The first Cyberspace and Cyber-enabled spaces Forum 2018(Cyber Forum 2018) will be in line with the tenet of "strengthen exchange, cooperation, innovation", the participating experts and scholars will focus on emerging technology, the research progress of network space, the development prospect and so on carries on the concrete discussion. 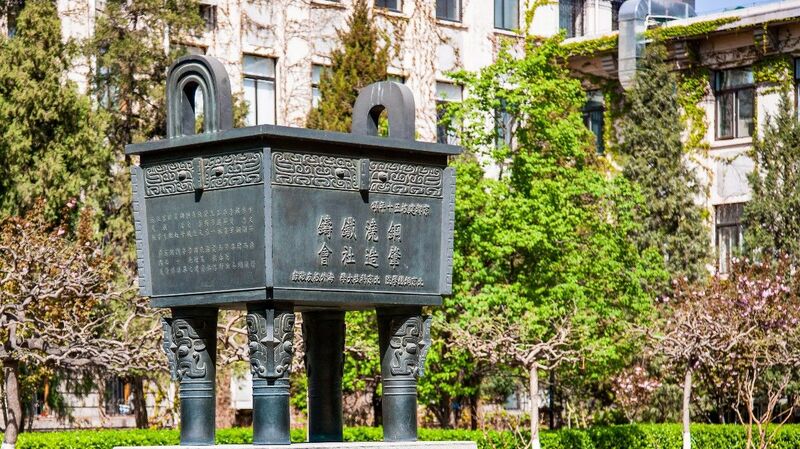 Rely on foundation and previous research results, the meeting will include Cyber Forum 2018 and One-belt one Road cooperation Seminar, The 2nd China-Europe Forum on Smart Healthy Aging and Privacy Protection (Share2018) and Future Information Technology Forum for Overseas Young Scholars. It will promote the innovation and development of our country in the fields of generalized cyberspace, big data and intelligent healthcare (endowment). You are cordially welcome participations in the Cyberspace and Cyber-enabled spaces Forum 2018(Cyber Forum 2018) to share your ideas, visions and researches. We believe that the frontier information science are basically characterized by not only catching up with the human intelligence (e.g. intelligent sensing, making decision and control, etc), but also learn much from the nature-inspired attributes (e.g., dynamics, self-adaptability, energy saving). Among such research areas, a newly-emerged interdisciplinary, Cybermatics (i.e., cyber technology) as we called here, includes three main aspects: Internet of Things (IoT), cyber, physical and social computing, and green computing and communications. J. Ma, "Cybermatics for Cyberization towards Cyber-Enabled Hyper Worlds," Keynote in IEEE MobileCloud 2016, pp. 85-86, 2016. J. Ma, H. Ning, R. Huang, H. Liu, L. T. Yang, J. Chen, G. Min, "Cybermatics: A Holistic Field for Systematic Study of Cyber-enabled New Worlds," in Access, IEEE, vol. 3, pp. 2270-2280, 2015. H. Ning, H. Liu, J. Ma, L. T. Yang, and R. Huang, “Cybermatics: Cyber-Physical-Social-Thinking Hyperspace Based Science and Technology,”Future Generation Computer Systems, 2015. With the rapid progresses of information science and technology, novel disciplinary fields have emerged, such as Mobile Internet, Internet of Things (IoT), Cyber-Physical System (CPS), Social Computing, Cloud Computing, Big Data, Brain Informatics, and Internet of People (IoP), etc. Their research and application have being speeded up the formation of cyber space, which will further lead to a subversive change for information science development as well as human production and living. The development of these technologies directly contribute to the deep convergence between the new cyber space and the traditional ones including physical, social and thinking spaces towards a quaternionic convergent space, the Cyber-Physical-Social-Thinking Hyperspace, on which a Smart World are being created. Ning H, Ning H, Ye X, et al. 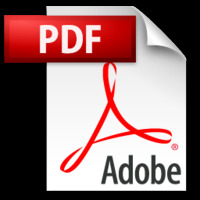 General Cyberspace: Cyberspace and Cyber-enabled Spaces[J]. IEEE Internet of Things Journal, 2018, PP(99):1-1. J. Ma, L. T. Yang, B. O. Apduhan, R. Huang, L. Barolli, and M. Takizawa, "Towards a smart world and ubiquitous intelligence: a walkthrough from smart things to smart hyperspaces and UbicKids," International Journal of Pervasive Computing and Communications, vol. 1, pp. 53-68, 2005. J. Ma, "Smart u-things–challenging real world complexity," in IPSJ symposium series, vol. 19, pp. 146-150, 2005. J. Ma, "Ubiquitous Intelligence-The Intelligence Revolution," ID People Magazine, 2005. H. Ning, H. Liu, J. Ma, L.T. Yang, Y. Wan, X. Ye, R. Huang, "From Internet to Smart World," in Access, IEEE , vol.3, no., pp.1994-1999, 2015. Aiming to explore a novel science and technology framework for the Cyber subject and Cyber-enabled interdiscipline. Particularly, a cyber-physical-social-thinking (CPST) hyperspace is established by involving an attractive concept of the Internet of Thinking (IoTk), which is Brain abstracted, and a science and technology framework is accordingly need to proposed referring to both scientific aspect (i.e., cyber-physical, social, and noetic sciences) and technological aspect (i.e., fundamental, physical, cyber, and social technologies). Ning H, Li Q, Wei D, et al. Cyberlogic Paves the Way From Cyber Philosophy to Cyber Science[J]. IEEE Internet of Things Journal, 2017, 4(3):783-790. Ning H, Liu H, Yang L T. Cyberentity Security in the Internet of Things[J]. Computer, 2013, 46(4):46-53. Ning H, Ning N, Qu S, et al. 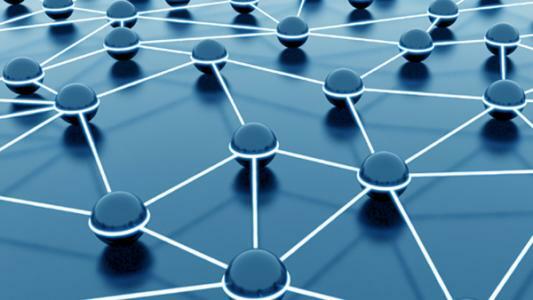 Layered Structure and Management in Internet of Things[C]// Future Generation Communication and Networking. IEEE Computer Society, 2007:386-389. J. Ma, " Cyber Science and Sociology", invited talk in CyberSocialCom Forum, Hangzhou, 2009. J. Ma, K-K. R. Choo, H. Hsu, Q. Jin, W. Liu, K. Wang, Y. Wang, X. Zhou, "Perspectives on Cyber Science and Technology for Cyberization & Cyber-enabled Worlds," Proc. IEEE DASC/PiCom/DataCom/CyberSciTech 2016. J. Ma, J. Wen, R. Huang, and B. Huang, "Cyber-Individual Meets Brain Informatics," Intelligent Systems, IEEE, vol. 26, pp. 30-37, 2011. H. Ning and H. Liu, "Cyber-physical-social-thinking space based science and technology framework for the Internet of Things," Science China Information Sciences, vol. 58, pp. 1-19, 2015. H. Ning, H. Liu, W. Du, J. Wu, Z. Wang, L. T. Yang, et al., "Human-attention inspired resource allocation for heterogeneous sensors in the Web of things," Intelligent Systems, IEEE, vol. 28, pp. 20-28, 2013. H. Ning and Z. Wang, "Future internet of things architecture: like mankind neural system or social organization framework?," Communications Letters, IEEE, vol. 15, pp. 461-463, 2011. Ning H. Unit and Ubiquitous Internet of Things[J]. CRC Press Inc, 2013, 17:: 1.